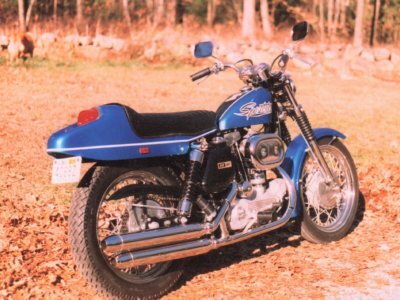 A gentelman bought this Tank for his 70 XLH on E-bay represented as an original paint tank, witch would have been Hi-Fi Blue, or Sparkeling Blue. 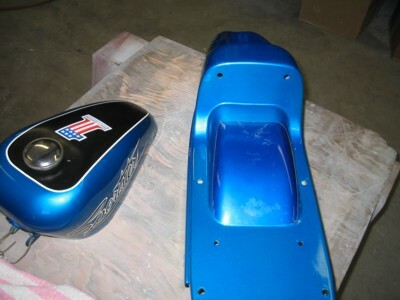 It was refinished with another companys candy finish, wich was much more turquoise than Hi-Fi Blue. 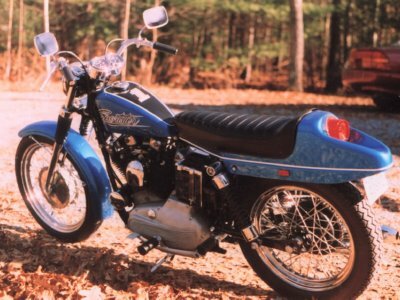 We were then asked to match the fenders to the tank. 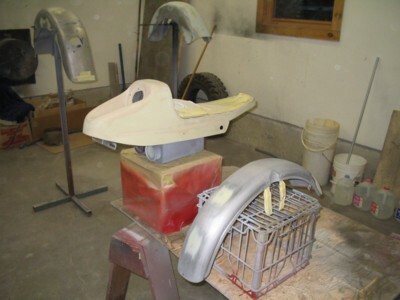 All old damaged finish is removed gingerly on the fiberglass and sandblasted off the front fender inside and out. Repair work done. 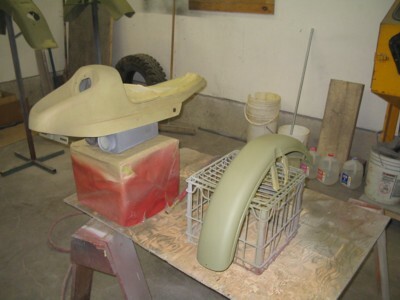 Metal is etch finished the next step is urethane primer/surfacer. 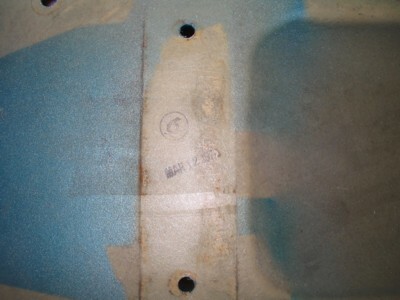 Under the seat is the manufacturers date March 1970. This and an area under the seat are protected and untouched for future reference. 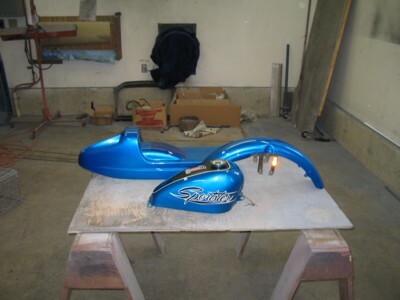 The rear fender done inside and out as O.E.M. 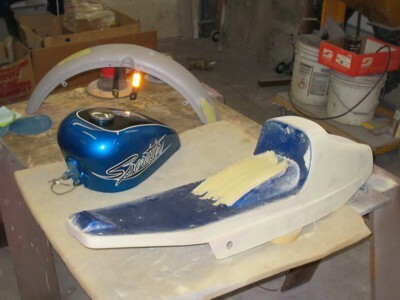 This picture shows the contrast of the center of the seat area wich is Hi-Fi Blue, and the color we refinished the fenders with, witch was custom blended to match the tank. 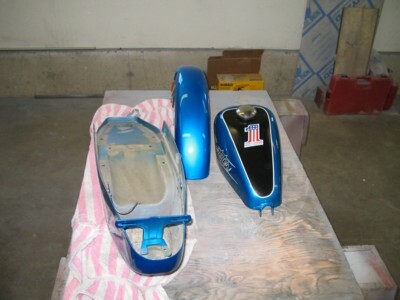 The two fenders shown with the tank, Success!